In 2037 in America, poverty has been nearly eliminated! Carbon emissions are reduced by 80% over 2018 levels, all are covered by comprehensive health insurance, and every high school graduate is eligible for free tuition at the nation’s colleges and universities. A paradise, the Administration claims, made possible by the federal funds freed up by the Quality of Life Act, which mandates death at age 75. When a tiny group of elderly fighters in small town Illinois take on the law, the Administration takes acute notice. Who prevails may depend on the tactics each are willing to use. Do the means justify the ends? Join us Friday November 9th, 2018 at 7 p.m. at Palace Theatre & Art Bar (formerly the Conservatory), 5813 Airport Way South, Seattle 98108. The Palace Theatre & Art Bar is a Seattle art space and coffeehouse, community meeting place, and artists’ workshop in Seattle’s Georgetown neighborhood, a growing and glowing arts haven in Seattle near I-5, just north of Boeing Field. Beer, wine, cider, and food will be available for purchase before and after the show, and during intermission. MARGARET O’DONNELL -PLAYWRIGHT Margaret writes to explore individual responsibility for the societies we create, the current of private emotion in public institutions, and the hidden forces shaping our conduct. She is a practicing immigration attorney in Seattle, and began writing plays in 2014. Her play Undocumented was produced in Seattle and Burien in 2016. The Detention Lottery was produced in Seattle in 2018. She is currently at work on a comedy about a church committee tasked with increasing racial diversity in its small congregation. 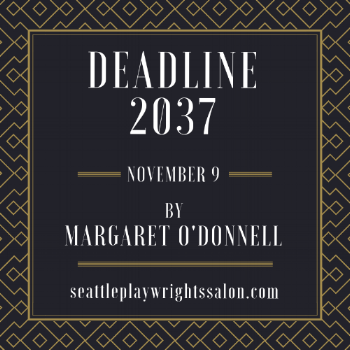 She founded the Seattle Playwrights Salon in 2016 with fellow playwright Kate Danley in order to give more play development opportunities to emerging playwrights. Mary Lou Mills is delighted to be part of Deadline 2037. 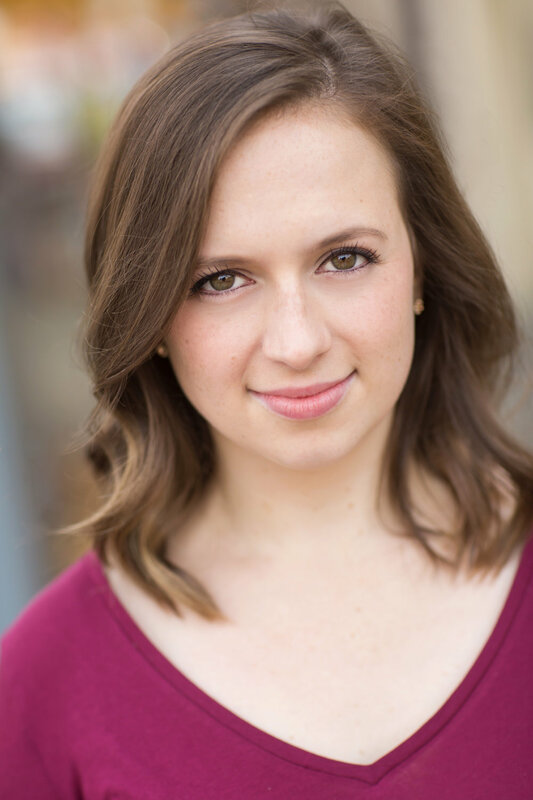 She has performed with a variety of theater and opera companies throughout the Pacific Northwest including the award winning 1776 (Reboot Theater and Seattle Musical Theater). Favorite roles include Evelyn in Amy’s View (ArtsWest) where she was nominated for Best Featured Actress (Broadway World). Most recently she was Mother in Frankenstein at Paradise Theatre in Gig Harbor. After the show, she delighted when little kids asked to have their pictures taken with the “scary old lady on stage”. Theater is great fun. Paul Shapiro has been performing around the country the last 50 years. He is recipient of the Winnifred Ward award from the American theatre association. In Seattle Paul has performed at Act theater, the empty space theatre, the bathhouse theatre, and Pioneer Square theater. Paul is a former clown with Ringling Brothers and Barnum and Bailey Circus and has toured nationally as the narrator in Neil Simons “the good doctor”. Terry is thrilled to be working with Rachel Rene again after prosecuting her in Witness for the Prosecution, lo, these many years ago. Terry has appeared with Sound Theater in Holiday of Errors and a co-production of theirs with Ese Teatro called Imaginary Opus, with Theater Schmeater in My Man Godfrey, The Wind in the Willows and The Magic Pudding. He’s also appeared with Annex Theater, Stone Soup and Bellevue Civic. He runs his own production company, Lamplight Productions, that recently produced Communicating Doors at The Ballard Underground. Look for Terry in 12 Angry Men this spring at Renton Civic. Emily Welter is a Kansas City native, a Vanderbilt University alum, and a civil engineer by day. Recent credits include The Who's Tommy (Tommy) with Seattle Gilbert and Sullivan Society, Priscilla: Queen of the Desert (Diva) at Bainbridge Performing Arts, and Spring Awakening (Wendla) at SecondStory Rep.